I wouldn’t bother to put my reasons here but my favourite Sarawak Laksa place in Kuching is at the Foody Goody Cafe. You will be hard pressed to find a Sarawakian living overseas to not have a stash of laksa paste as they will either have brought them from home or been given them by visitors as gifts from home. Having a stash is always useful for when the cravings start, which can be quite often. Cooking Sarawak Laksa is not difficult but it does take some time and preparation so Laksa parties are not uncommon. 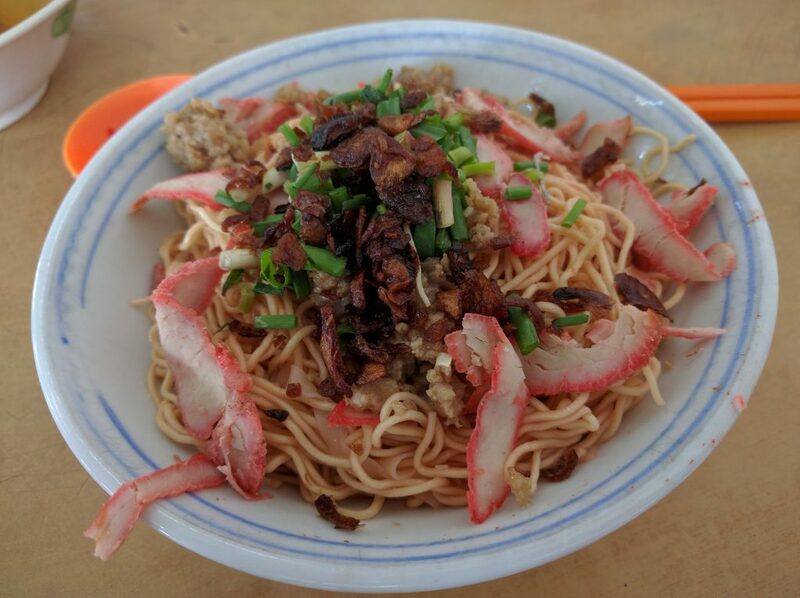 Kolo Mee is probably the most common hawker food in Kuching with almost any kopitiam with a stall selling it. The noodles are unique, with the taste and texture unlike any other type of noodles. Usually served with BBQ pork, what makes it delicious is it the pork lard that mixed in for flavour. Which also makes less than healthy but Kuchingnites will happily eat it for any meal of the day. 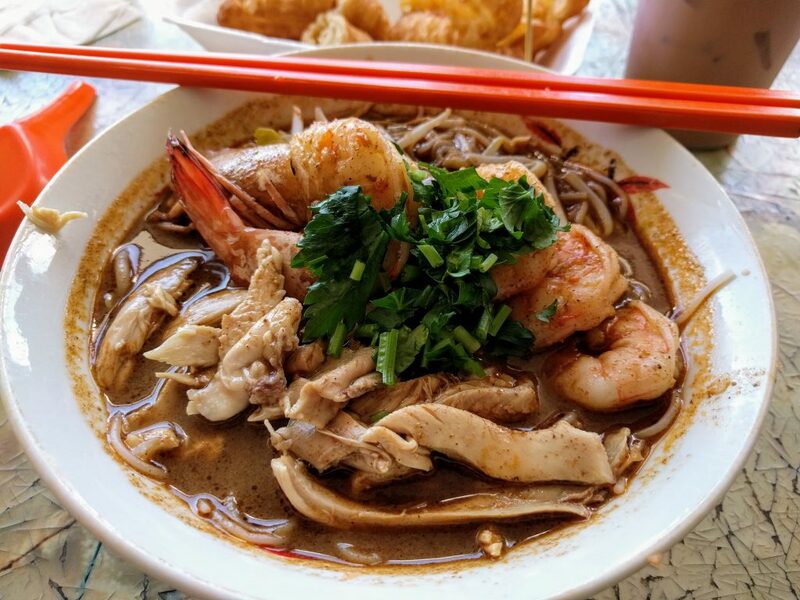 My favourite place for Kolo Mee would be at KY Cafe. 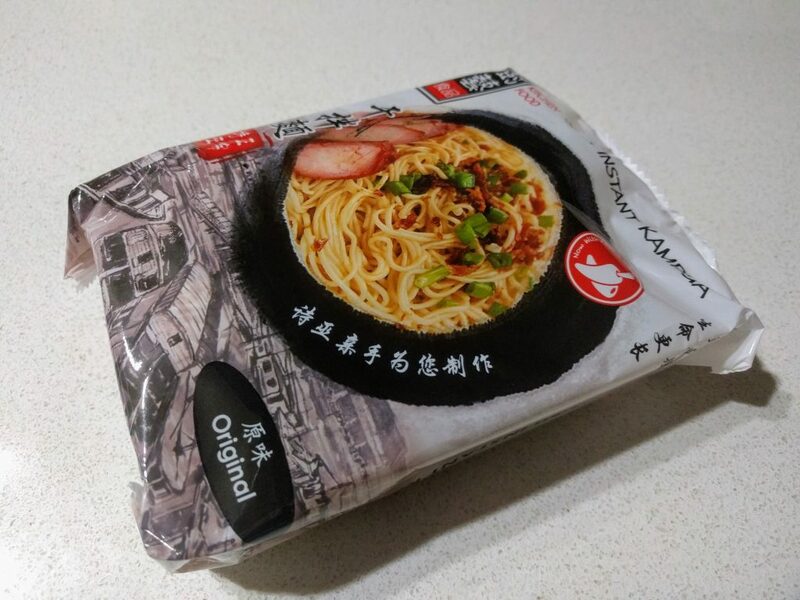 In recent years, there has been many brands that have come up with instant Kolo/Kampua Mee that actually taste pretty similar to the original. With a small packet of pork lard in each packet, its great to have a stash handy whenever the cravings strike. Kueh Chap is a pretty unique Sarawakian dish, although there are variations that can be found in Thailand. Some people may be put off by the flake noodles served with pork offals, but I have always loved them. And you can always order the dish without the offals with just the meat. 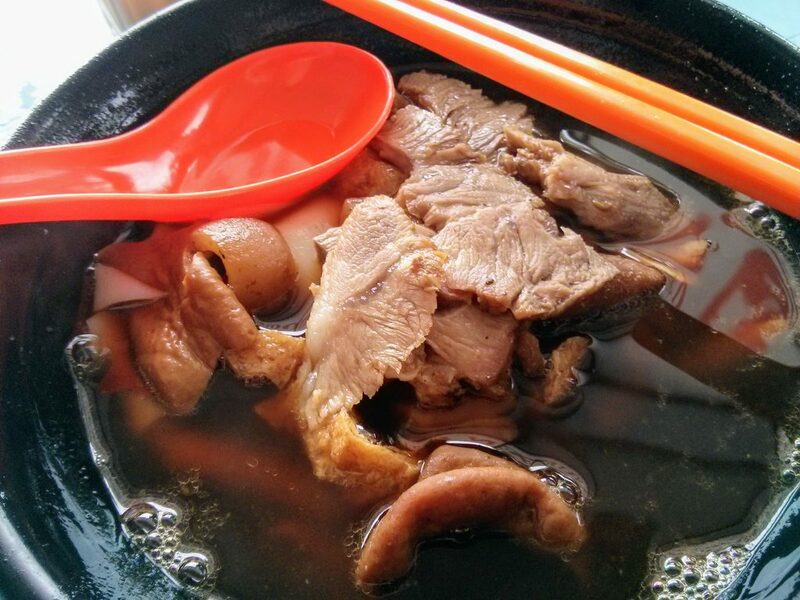 The broth is soy sauce based and can have quite a herbal taste depending on the stall. My favourite place for Kueh Chap is at Seng Yuen Food Centre. Kueh Chap is harder to find overseas in any form but it is not hard to cook. The “kueh” or rice flakes as it is called I can find in Asian groceries stores here in Melbourne, Australia. The recipe which I find makes excellent kueh chap can be found here.